What is the Great Community Give? 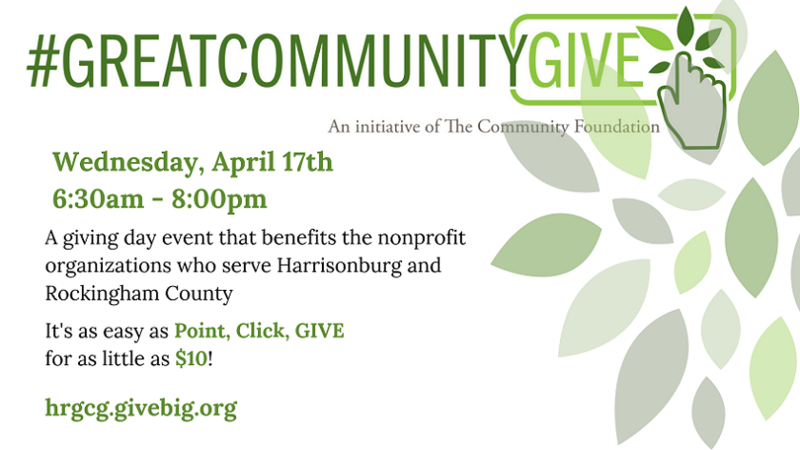 The Great Community Give is a single day of giving to partnered local nonprofits to promote charitable giving in Harrisonburg and Rockingham County. The Great Community Give is an initiative of The Co mmunity Foundation. 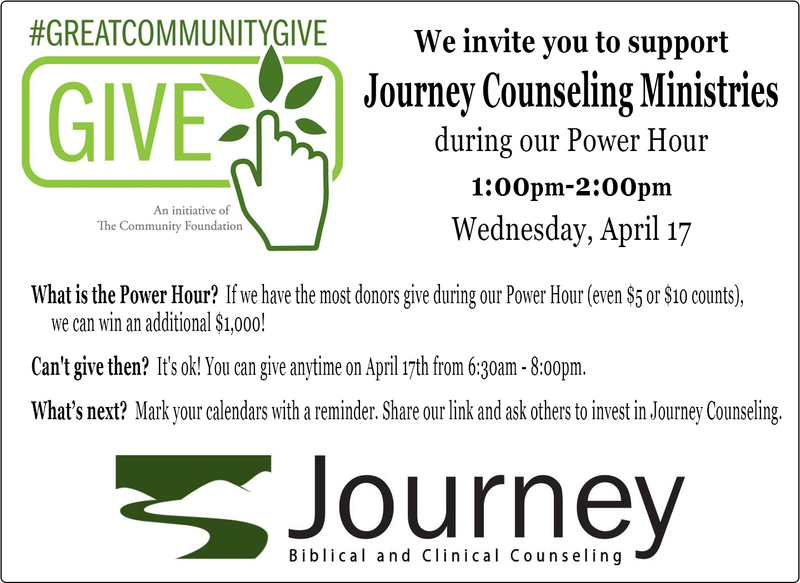 We invite you to support Journey Counseling! Journey will be using donations received that day for both our client and student assisted funds that allows us to offer reduced rates for those that need it. Journey is committed to compassionate care of wounded souls in our community, and we believe we are called to bring that care to transform hearts and lives in the Shenandoah Valley. But, Journey has a problem – we’ve grown and now need more space. We anticipate that our move to a new, larger space will result in an additional $900 per month of expenses in 2020. Your donation of any amount will help us meet this additional expense without passing it on to our clients. Please consider making a donation during the Great Community Give. Your donation is greatly appreciated and will help to transform lives in our community! Your donation can make a larger impact when given on this day.